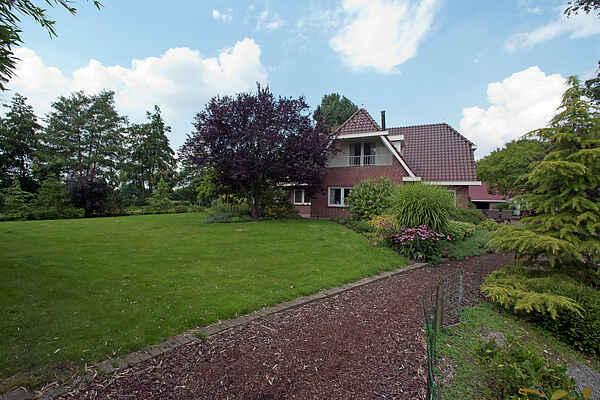 This luxurious detached house classic, very quiet, near Drachten in the Frisian village of De Tike. The house has a beautiful landscaped garden, a fruit orchard and private lake (5 hect). From the living room you have an incredible view of the beautiful garden and lake. From which window you look out, there is a view over the beautiful gardens, the water and the underlying lands everywhere. From The Tike is possible splendid walking and cycling tours through the nature reserve "De Leijen" area. It is so in Drachten (5 km), Leeuwarden (18 km), Dokkum (25 km) or Heerenveen (18 km). Enjoy the many water everywhere - and sports. Also a day of sailing, on a terrace or rent a boat in Eernewoude is definitely worth it. Come quickly to the beautiful Friesland! Please note! The lake is not suitable for swimming and / or sailing.